There are Match 3 games, and there are Match 3 games. And there’s King’s Candy Crush series, which now includes the latest one called Candy Crush Soda Saga. There’s no denying how popular Match 3 games are in the mobile gaming community, and it’s because they’re simple, yet very addictive. In this iOS and Android title, you’ll be back in familiar territory, with similar game mechanics, and 140 different levels, a number that should continue to grow over time. 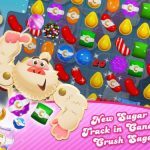 But is it really that similar to the original Candy Crush Saga, or are there some new and effective strategies you can make use of? 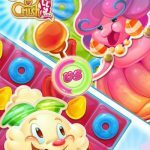 Read on, as we bring you our list of Candy Crush Soda Saga cheats, tips and strategies to get a high score. This one you probably know. Every player has a maximum of five lives to use, with these lives slowly getting replenished every hour. If you don’t want to wait for long, you’ll have to pay some money to get back in the game. But since chances are you wouldn’t want to do that, we would suggest using the “time lapse” cheat, which simply involves advancing your device’s time by at least a few hours, and returning to the game with a full five lives. 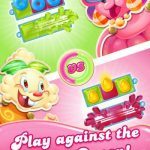 In Candy Crush Soda Saga, your pieces will be appearing from the bottom and moving upwards. This is in contrast to most other Match Three titles, including the original Candy Crush Saga, where the pieces drop from the top. So with us having said this, we suggest focusing on the upper part of your board when trying to make matches. On occasion, you’ll notice a fish tile, and if you think that it’s going to do you a world of good because it looks different from most other tiles, then you’re absolutely right. Matching fish tiles gets you a random juice tile removed from the board, while swapping it with an adjacent tile can help you remove a specific juice tile of the same color. However, some have suggested that creating a “Swedish Fish” tile isn’t as important as it may sound , as you’ll mainly need these tiles to remove hard-to-reach objects on the board. 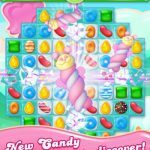 In Candy Crush Soda Saga, things are hardly different from most Match Three games – you can only use so many moves. Keeping this in mind, you’ll want to use your moves wisely in levels with Frozen Bears. These pieces are trapped under a layer of ice or two, and you’ll know there’s a Frozen Bear to free if you see a blue-green glow after breaking the first layer of ice. It may sound like an exciting proposition to use a special tile the moment you get one, but it would be much better, and much more effective, if you use two special pieces in combination with each other. If you really don’t need to use them, save them for as long as possible as matching two special pieces could come in very handy. It’s quite simple if you come to think about it. When playing Bubble Bear levels, remember that candies will move upward from the bottom, so if you make matches above the soda line as you’d often do in standard gameplay, the candies will drop down. You want to work around this pitfall in Bubble Bear levels. We’ve seen this happen in numerous Match Three games, and the same applies in here. The game’s AI isn’t really good at giving advice, as it usually suggests the most obvious moves you can make on the board. The only time you should follow the game’s suggested moves is when you’re stuck and unable to find a good match, though there’s no real time pressure when it comes to finding matches on the board. Speaking of time pressure, or lack thereof, we’d advise taking your time in any Candy Crush Soda Saga level – there’s no time limit, so don’t get yourself all worked up about making matches as quickly as possible. Your goal is to make the right kind of match, and if it takes you a while to find that perfect move to make, then so be it. Match Three games involve strategy, and strategy is best executed when thought out thoroughly. Chocolate, for starters, will keep on popping up unless you’re able to break one piece or more per move. As for cupcakes and related pastries, the more toppings you see, the harder it’s going to be to get rid of them – in other words, that means more matches. Lastly, honey can be as “thin” as one layer or as “thick” as six – if you have only a layer or two, you’ll see the bears you need to free with little problem. Otherwise, you may have to make some lucky guesses when figuring out where the bears are trapped. It’s cool to come up with multiple special pieces and to see what these pieces can do when utilized. But at the end of the day, you have specific goals per level, and you only have a certain number of moves in order to achieve those goals. Keep those things in mind and you’ll be completing more levels with less hassle. If you’re the type of player who’s fine with completing levels and completing levels alone, you don’t need to follow this rather common-sense tip. But if you’re like most others and want to earn three stars as often as possible, the best thing to do is keep on replaying levels. This is also very helpful when it comes to perfecting your strategies and preparing yourself for the tougher stages.